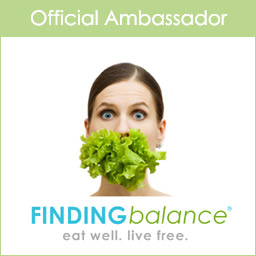 I am honored to serve as an official ambassador for FINDINGbalance, a Christian 501(c)(3) nonprofit dedicated to helping people eat well and live free. FINDINGbalance is an incredible resource to anyone impacted by eating and body image issues. Their website has hundreds of videos and articles, as well as an online panel of experts to offer wisdom and guidance. In 2011 my father and I shared some of our own personal journey – the story behind Chasing Silhouettes – at FINDINGbalance‘s Hungry for Hope conference in Colorado Springs. This annual event is an incredibly inspiring conference and I encourage you to look into it if you or someone you care about has an eating disorder, or if you are a professional working with these issues. The presentation I gave at Hungry for Hope has now been made into two lessons in the FINDINGbalance “Gathering” small group tool. I can’t say enough good things about this organization. If you are looking for a comprehensive Christian resource, I highly recommend checking them out at www.findingbalance.com.